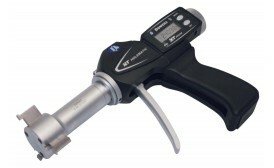 Gives good repeatability even when out of line with bore centre. Available from 6-300mm diameter on digital systems. 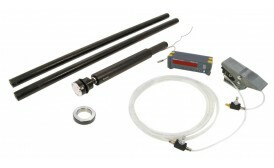 Can be supplied as a 2 point (for ovality) or 3 point contact. Available from 6-300mm. 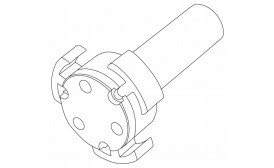 Operated by a pneumatic actuator powered by a 3 bar compressed air supply - either from a compressor or a workshop air-line. The measurement data is collected by a capacitive probe fitted just behind, and in constant contact with the measuring head. This direct contact ensures high-quality transducer-type accuracy, even at great depths. Measurements are taken by pressing a footswitch connected to the airline and the data is then passed automatically via cable back down the bore to the digital readout at the operator end. 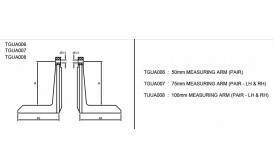 Standard between 2-6mm and 12.5-300mm. Between 6-12.5mm on request. 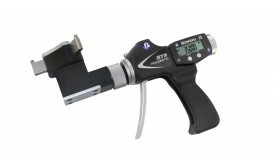 Available between 16-300mm diameter to measure between odd spaced lobes. Measurement of smooth bore and rifled bore gun barrels. 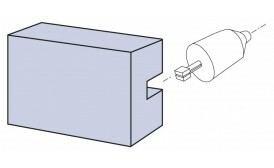 Major and minor diameters measured deep in to bores. 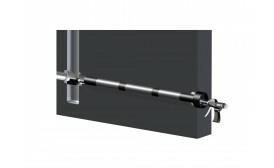 Developed to measure both internal and external diameters and lengths, the Intex gauge's aluminium extrusion beam gives it a rigid yet lightweight quality, making it ideal for shop-floor environments. 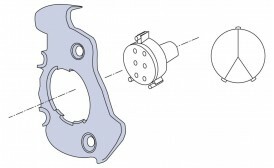 The simple release of a locking thumbscrew enables the gauge's measuring direction to be changed quickly and easily. The Challenge: Bowers was approached by a well-known industrial turbine manufacturer to develop a method of measuring dovetail slot width and position in a circular component. 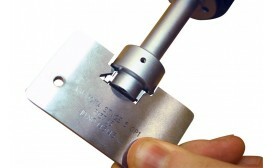 The datum for the measurements was taken from the shoulder of the slot replicating the final ‘In Service’ blade datums. 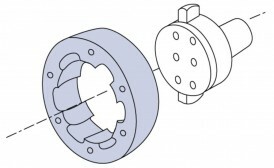 The Solution: Bowers' Special Applications Team developed a special 2 Point head solution based on the popular Bowers XT system. 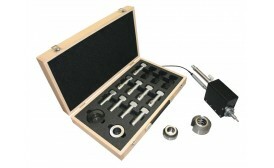 The system incorporates tungsten carbide ball contacts for high accuracy. 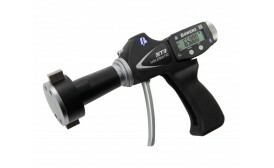 The Bowers XT digital readout offers the capability to send data for SPC and part traceability. Advantages over Competitor Solutions: The Bowers dovetail variable gauge is able to output the actual size and position as opposed to competitors' attribute (Go / No Go) gauging. 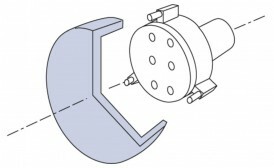 The gauge has a long working life and doesn’t wear like attribute gauging. 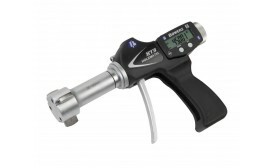 Potential Industries: • Aerospace • Nuclear • Turbines • Power Generation To view a video of the Dovetail Gauge measuring a component click here.